The story of a Mississippi town still divided about the meaning of justice. 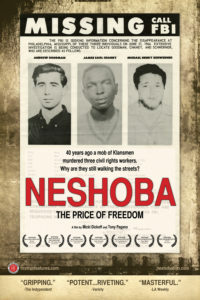 A documentary about justice and racial healing. Emmy Award winning director Micki Dickoff has been an independent filmmaker and social activist for four decades. Her production company, Pro Bono Productions, produces social justice dramatic and documentary films. Her highly acclaimed work has been released theatrically, broadcast on national and international television, and honored at film festivals worldwide. Her films have received outstanding reviews by top critics and many prestigious awards.